Extract it inside "C:\xampp\htdocs" for xampp OR "C:\wamp\www" for wampp. To remove index.php from the Url we create a .htaccess file with the following contents and save the ".htaccess" file within the web root directory. Open the file application/config/autoload.php to auto-load the database library so we don’t need to load the database manually in every model.we need to do as add database to the array as a string. 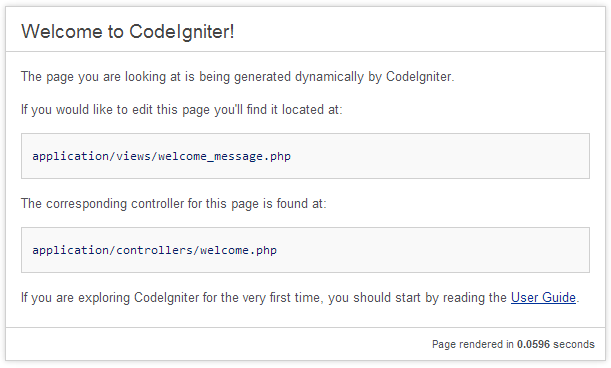 Now we are ready to work with CodeIgniter.we have to visit the following Url in our web browser. We should be greeted with the following message. To build our application we will use Model Controller View (MVC) pattern.